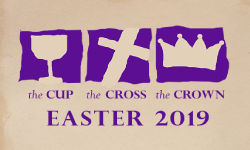 Welcome to our Easter series called The Cup, The Cross, The Crown. For the four Sundays in April, we are going back to the most significant few days in all of history: the death, burial, and resurrection of Jesus Christ! These few days changed everything and can change everything for you!